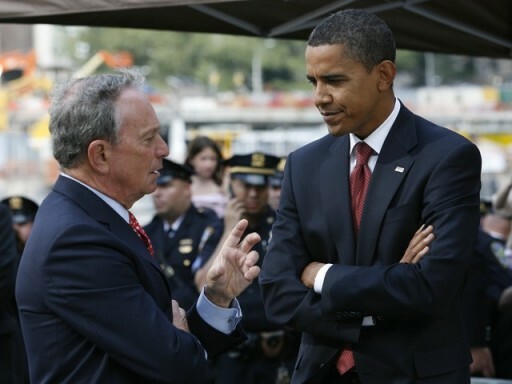 Washington - New York City Mayor Michael R. Bloomberg turned down an offer from the Obama administration to become president of the World Bank, according to a published report. The report, in the latest issue of New York magazine, says — without attributing to any sources — that Bill Daley, then President Obama’s chief of staff, had “discreetly called the mayor and asked him if he wanted to be head of the World Bank” after the departure of Robert Zoellick. But Mr. Bloomberg declined, because “Bloomberg did not want to have a boss, and he’d already begun to retool his life for his post-mayoralty,” according to the magazine. Not good for a Jewish person o run the World bank. Vhamayvin yuvin. Obama did it when the mayor was considering a presidential run. Obama has a pattern of silencing potential critics. Who would have been his boss? Bloomberg has a boss, or more precisely, 8 million of them. His Imperial Idiocy may consider them his subjects, but he's responsible to those New Yorkers who elected him, and for that matter, those who didn't. This stinking little shmendrik is gonna learn that lesson the hard way.